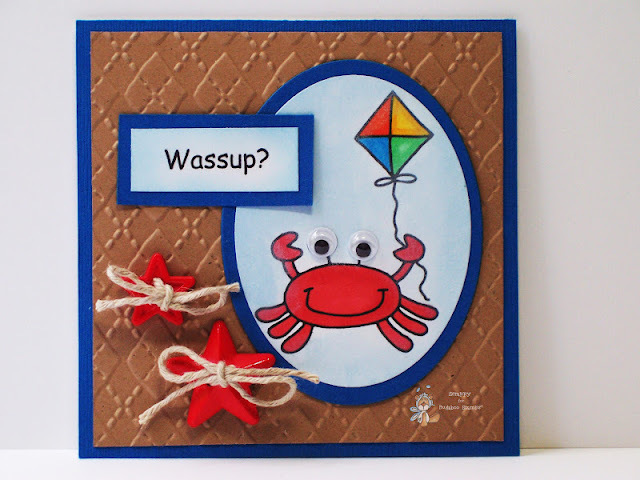 There is a new challenge at Catch the Bug with Bugaboo Stamps! This week we are challenging you to use a 'July 4th' or 'Summer' theme on your cards and papercraft projects! Check out my card below featuring Crab-Kite and enter your own fabu cards HERE! Cute Crab, great job with the card. Wassup? How darling is this! Love, love, love the crab image and the adorable little eyes. Too stinking cute. LOL! Cute creation Scrappy! Thanks for the instant smile! Thanks so much for joining us at The Sisterhood ‘SEEING STARS’ challenge and please come back again soon! How cute! Love how bright and fun this card is. Thanks for joining us at DYSU. Fabulous card! Thanks for joining us at Do You Stack Up. This is super cute! Thanks for playing at Digital Tuesday Challenge. Love this card! So cute. Thanks so much for joining us at Totally Papercrafts this week. SO cute! I love the textures and colors. Great design! Thanks for joining us at DYSU! Hi there. Such a bright and fun card. Fab image too. Really cute card! Adorable image and super colors. It made me smile! So happy you played along at CC&CC! Come back again soon! Aloha! Hi Scrappy, Love the bright bold look of your card. The image and sentiment are just perfect for a summer card:)Thanks for joining us at Lexi's Creations for our current challenge: At the Beach. Wonderful card and I love the star buttons. Thanks for playing along with us in The Sisterhood of Crafters in our "Seeing Stars" challenge. 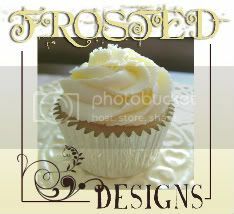 Super cute job with those fun stars :) I really like that embossed background, too. Thanks for playing along with The Sisterhood of Crafters for our Seeing Stars Challenge! Scrappy, super sweet card! I love this image, he just screams summer! Thank you for joining us this week at the Inky Impressions Challenge and for answering our DT Call! Good luck! I love the vibrant red and your background is fab! Thanks for joining us over on Fat Pages With Attitude. Great bright bold card, love the background!Thanks for joining us over on Fat Pages With Attitude.